It’s been a long year leading up to this year’s State of the Union address. We’ve experienced a rollercoaster of moral lows, from a government shutdown resulting in suffering for government employees, to the heinous incidents of migrant children being ripped from the arms of their parents, and being tossed into cages as a means of “safe-keeping”. This left the masses with one question on their minds: how could our commander-in-chief possibly spin the state of our union, in what certainly qualifies as one of the most divisive years in recent history? According to President Trump, this question warranted a look at what he called an “economic boom”. Touting numbers capable of making even the most naïve of viewers raise a skeptical brow, President Trump claimed to have added 5.3 million new jobs to the economy, with blue collar wages rising at the fastest pace in decades, topped off with the claim that the unemployment rate is currently the lowest it has been in decades. Safe to say, a quick search of the Bureau of Labor Statistics confirmed that even a high-end estimate put the actual number on jobs added at 4.9 million, tops. In the same vein, President Trump’s bold claim that since he took office, the economy has added 600,000 new manufacturing jobs, was quickly debunked. The number was closer to 454,000, a number comparable to the Obama administration, and one significantly lower than the job creation statistics of the ‘90’s. In yet another blow to the president’s deluded view of the facts, Trump claimed that companies were returning to America in “large numbers”. Which companies was President Trump referring to exactly? Harley Davidson, who plan to move manufacturing abroad, citing Trumps own economic decisions as the main motivator? Or perhaps the president is referring to General Motors, who slashed 14,000 jobs and as a result, was weighing the decision to close 7 plants? Just 12 hours before he began his speech, President Trump took to his Twitter account, tweeting about migrants “coming up through Mexico in the hopes of flooding our Southern Border,” indicating his intention to center his address around the inflammatory debate surrounding immigration. As expected, Trump spent a vast portion of his speech railing against the “dangerous Southern border,” recklessly equating asylum seekers with criminals and gang-members. Once again touting the ridiculous notion of a wall along the southern border as a barrier against illegal immigration, President Trump claimed that barriers played a role in “almost completely” ending illegal crossings, with El Paso, Texas, going from being one of the most dangerous cities in the U.S., to one of the safest after a barrier was built. Putting aside the inflammatory notion that anyone coming to the southern border is the cause for crime-rates to soar, it’s unsurprising that experts were quick to point out that neither of these facts ring true, with El Paso having the second lowest crime rate in the United States before the completion of the Texan barrier. In terms of San Diego, it’s important to note that border crossings have been declining over the past two decades, making it unlikely that fencing had anything to do with fewer illegal crossings. In a laughable conclusion to his statements on immigration, President Trump claimed that he wanted people to come into the United States in the “largest numbers ever”, but that they had to come legally. That begs the question, Mr. President, has anyone told you that seeking asylum at the border does not constitute illegal entry? And why the repeated attacks against chain migration, Mr. President, if your qualms are solely with illegal immigration? And while you’re at it, why not explain your aversion to legal foreign worker visas? As was a theme for the better part of this night, Trump’s SOTU address’ narrative of reasonably deductions was a thinly-veiled Trojan Horse for his typically more aggressive and racist policies. What’s Up With Drug Prices? 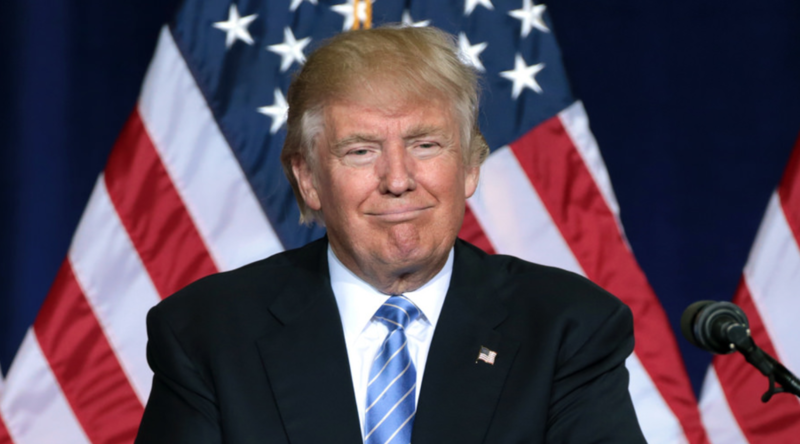 Continuing his rampage against facts, Trump went on to claim that thanks to the efforts of his administration, drug prices experienced “their single largest decline in 46 years.” An AP Fact Check concluded that whilst drug prices may not have risen at the same rate as previous years, drug prices certainly did increase, not decrease. A lot was said at the 2019 State of the Union address. A night that started with the bold statement “I stand here, ready to work with you,” quickly devolved into more of the usual – a speech filled with factually-incorrect rhetoric, and scarily nationalistic, mob-mentality style chants of “USA”. As has been proven, time and time again, if we can’t trust what is said, perhaps we need to turn to what is on display: that Melania Trump invited, as her guest to the SOTU, a boy named Joshua Trump because he was bullied due to his surname, offering up yet another indicator of the hypocrisy of the Trump administration, who create a hue and cry about being picked on. This, of course, happens simultaneous to a relentless Trumpian campaign of petty name-calling against political adversaries, and nefarious treatment of those huddled masses arriving at the borders of this great nation, seeking refuge. Or perhaps, we should turn to the newly-minted Congresswomen from the Democratic Party, a sea of white, flipping the narrative on the president when he claimed that 58 percent of new jobs generated were filled by women. They were reactive, and resplendent, as they made their victories of the past year known at the 2019 State of the Union address. Or maybe we can look to the powerful and inspirational SOTU response delivered by Stacey Abrams, the first black woman to ever do so. Although Abrams narrowly lost her race to become Georgia’s first black governor, the decision to name her the one to deliver the SOTU response adequately displays the firm and positive impression she made on voters. Perhaps these are the things we should look to in order to truly understand the current state of the union. “So even as I am very disappointed by the president’s approach to our problems – I still don’t want him to fail. But we need him to tell the truth, and to respect his duties and the extraordinary diversity that defines America.” – Stacey Abrams, 2019.